You are here: Home / Learn to Read Free! The Sight and Sound Reading program was created in the hope of helping all children learn to read with confidence. As such, we have tried to create a website that teaches children to read for free, and that helps struggling readers find the tools they need to experience reading success. Additionally, we do have resources available that go along with the program that you can inexpensively purchase in the store. These resources can be used by individuals at home or in a classroom setting. We offer a few different ways you can get started. We have a recommended way, but –the choice is yours. All students are different so the method you choose may depend on your student. We offer.. I will explain each of these programs next. In this program Mrs. Karle teaches the 250 basic sight words in the context of stories to help the children learn to read. She starts by teaching the children to read the words “Good Morning” and each day she adds words until the children are reading fluently. This program is fantastic for a beginning reader, a struggling reader, a special needs student –really –anyone wanting to learn to read. Children who are struggling to learn to read many times do not have confidence when then are reading. If you don’t have confidence with something, you don’t like doing it. It is very important that your child have confidence reading. The sight word program gives children confidence with reading. After the children have confidence reading, then Mrs. Karle introduces phonics and helps the students learn how to sound out words. 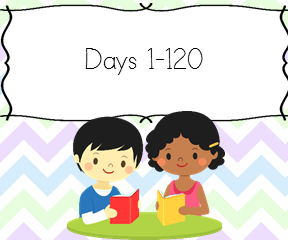 If you start with the learn to read for free sight word reading program, we recommend you start helping your student with phonics around day 20 of the program. With this program Mrs. Karle goes through the long and short vowels and sounds out words and sentences to help the children learn to sound out words and write sentences. 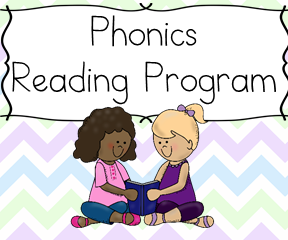 This program is great for helping teach reading, spelling, phonics, writing, punctuation. This program is great for a struggling reader. If you can tell your child struggles with phonics (sounding out of words), we recommend doing the following. First we recommend that you test your child reading the sight words. If your child can read the sight words fluently, without “thinking”, and only is struggling with sounding out words, then this is a good place to start and do. If your child started Mrs. Karle’s sight word program, we recommend starting the phonics program around Day 20. At this point your child will be reading well and confidently and it is a good point to add the challenge of phonics. With this program, Mrs. Karle uses word ladders to help students learn more about phonics, rhyming, word patterns and word families. This program helps build a child’s vocabulary. Mrs. Karle starts with a basic word, for example “all”, and then she builds upon that word going up a ladder: all becomes ball, fall, mall, tall, hall, wall. Mrs. Karle goes through each of these words and defines each word. She reads up and down the ladder and she quizzes the students on the meaning of each word. This program is great for increasing student vocabulary and fluency. As such, this is great to help build a child’s vocabulary and fluency. Once your child can read sight words and sound out words, working with the word ladders will help your child learn more words very easily and read much better. Mrs. Karle has a Teacher’s Manual to help you learn to how to teach the alphabet. This teacher’s manual is perfect for a preschool or kindergarten student to help reinforce the difference between upper and lower case letters. Her alphabet visually places the upper case letters above the lower case letters to help the students visualize the difference. Additionally her alphabet visually shows the differences between consonants and vowels by making the vowels a different color. Her alphabet also explicitly teaches the different confusing fonts that beginning readers often confuse. It also explicitly teaches the different sounds that different letters make (for instance the letter G can make a sound like giraffe or a g as in goat). If your child does not know the alphabet, the difference between upper and lower case letters, or the difference between vowels and consonants, this is great to do alongside the learn to read for free sight word reading program. Is your child a beginning reader or a struggling reader? 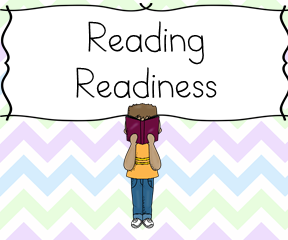 ———-> If you have a beginning reader, test your child’s reading readiness. This will give you a baseline of what your child knows and does not know. 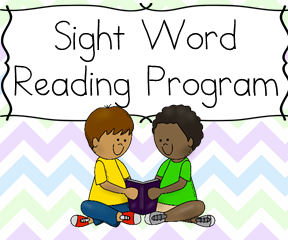 Then, begin the Learn to Read for free sight word reading program. ———-> If you have a struggling reader, use our free sight word test to see where to start in the ‘learn to read for free’ program. On the sight word test there are numbers underneath each sight word. Those numbers indicate the day of the program where each sight word is introduced. Begin the sight word program where your child is confident reading. If your child begins to struggle at day 11, begin at day 10. We want your child to be able to read confidently. Watch the phonics videos and word ladders to help learn phonics, writing, spelling, and vocabulary. 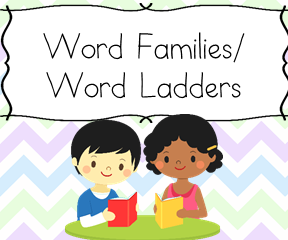 Watch the word ladder videos to help increase your child’s vocabulary and fluency. Day 4 I Day 4 (Practice and Games) Mrs. Karle’s alphabet: The letter I – notice the different confusing fonts for the capital letter I. Day 9 green question mark, sound “g” Mrs. Karle’s alphabet: The letter g – notice the different confusing fonts for the lower case letter g.
Day 19 it, bird Begin the phonics program.